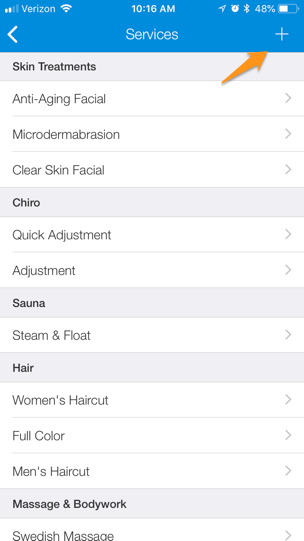 You can add as many services as you'd like to your Genbook account. Here's a quick step-by-step guide to creating services from the Desktop (website) and Genbook Manager app versions of Genbook. 1. Start by clicking on Settings. 3. Click "Add a new service to this category" below the category where you wish to add the service (don't worry, you can move it to a different category if you need to). 4. 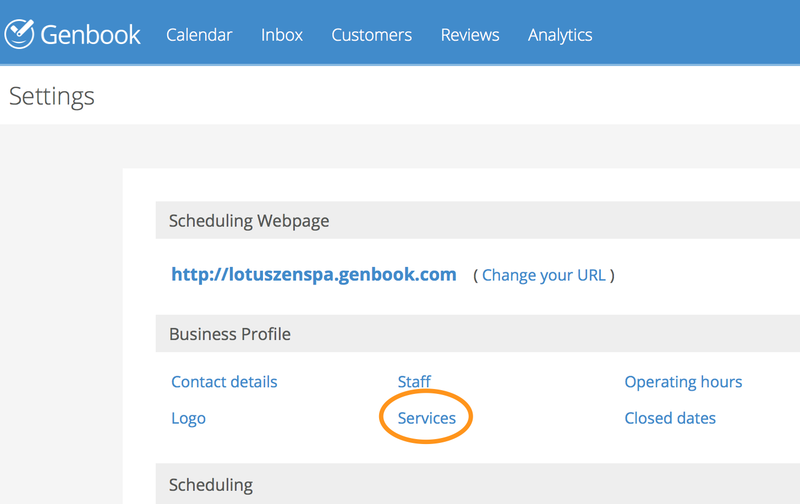 Enter a service title and description, and select the staff who will perform the service from the list on the right. 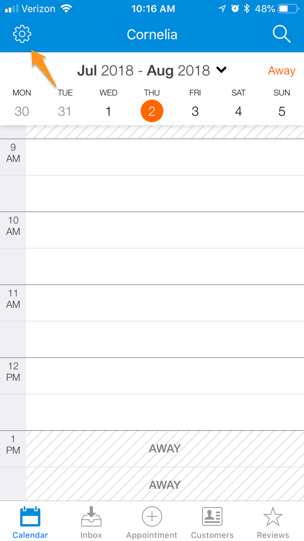 Choose a color to denote the service in your calendar. 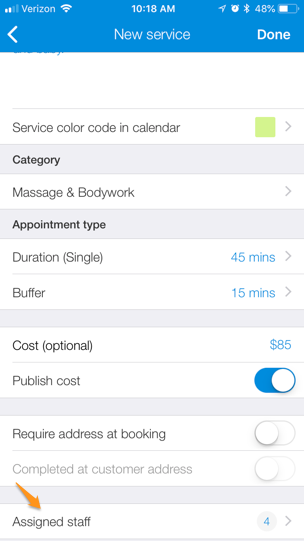 Add your service's duration (note: if you don't spend the entire time actively with the client and can take another client in the middle of this service, you can set it up as a Split Appointment). 5. 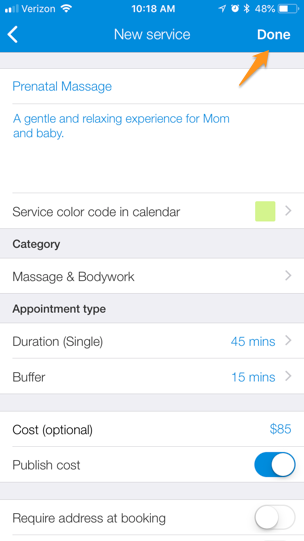 Choose whether to add a buffer to your service to give you extra time for cleanup and other tasks at the end of the appointment. 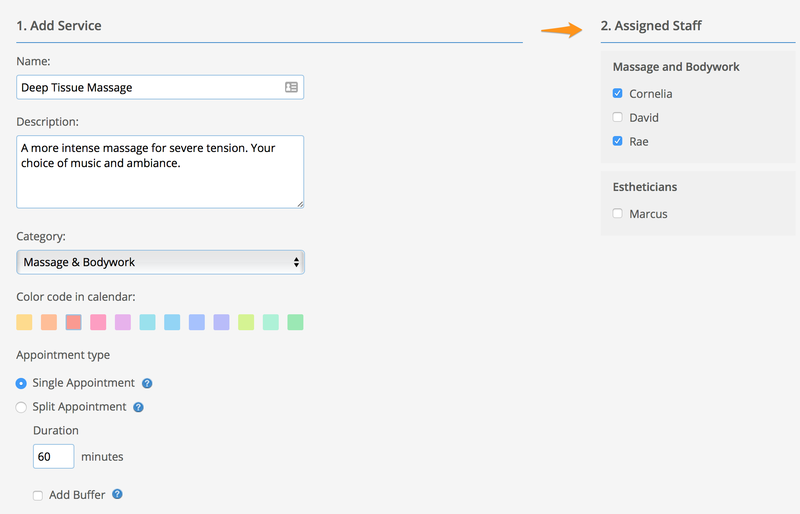 Enter the cost and choose whether to publish it online. You can also choose to capture your customers' addresses for this service, and then specify if the service is performed at their location. 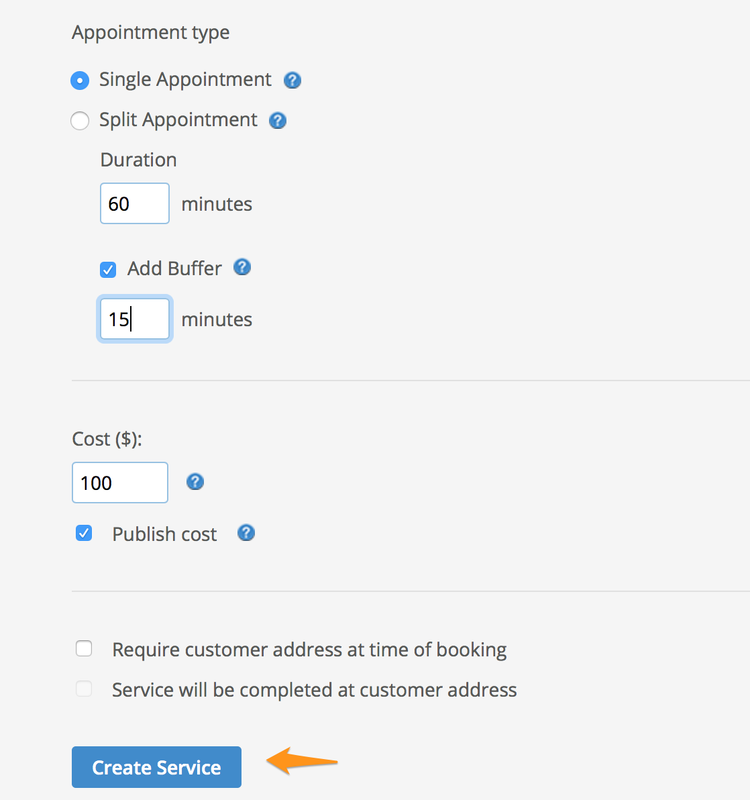 Once you're happy with the service details you've created, click the "Create service" button. 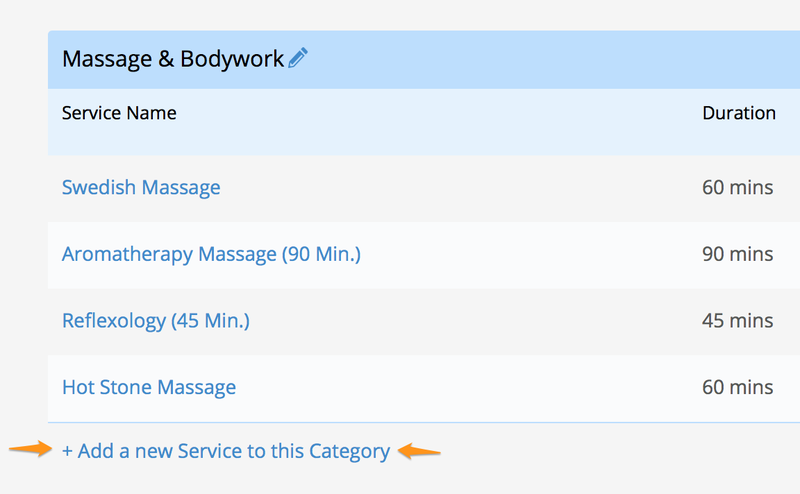 Your new service should now appear at the bottom of the category under which you created it. 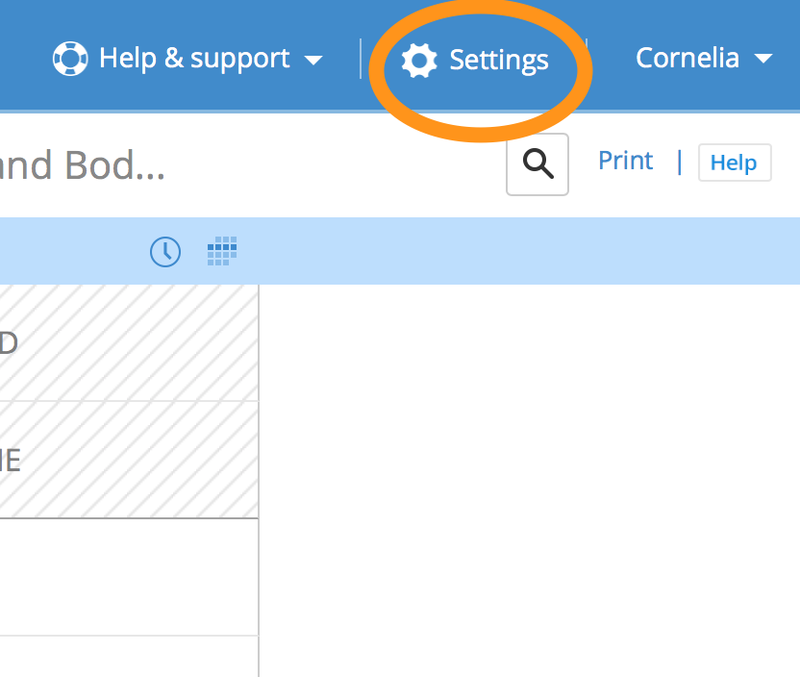 To move the service up or down within the category, or move it to a new category, hover over it and then click the arrows that appear. 1. Tap the Settings gear icon at the top left of the screen. 5. 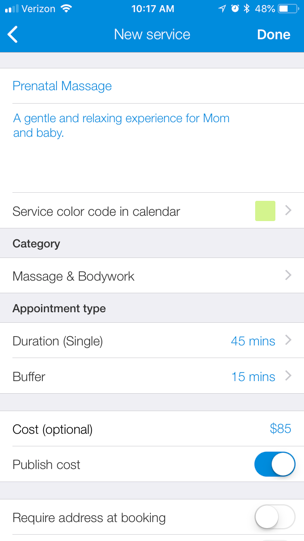 Fill in the service's details (name and description) and tap the relevant options to select a color, duration, buffer. 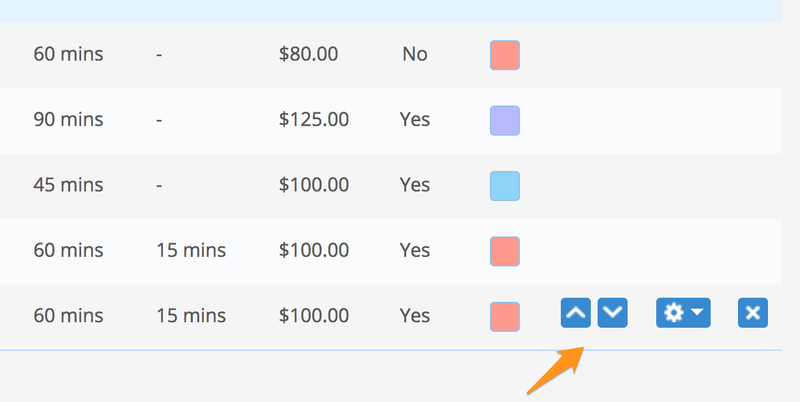 Enter a cost and choose whether to publish that price to customers booking online. 6. 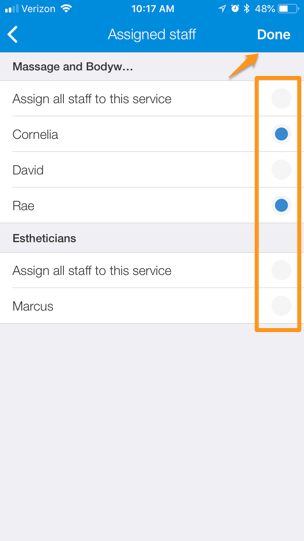 Tap "Assigned Staff" at the bottom of the screen to choose which staff members provide the service. 7. 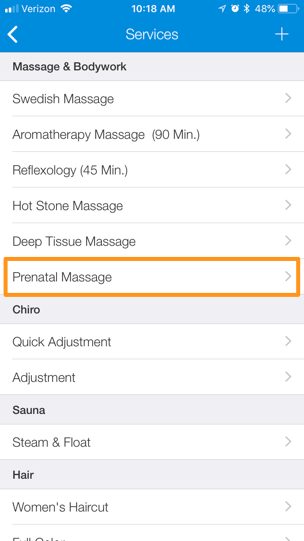 Tap to deselect staff and check to make sure only those who provide the service are still selected. Tap "Done" at the top right to save. 8. 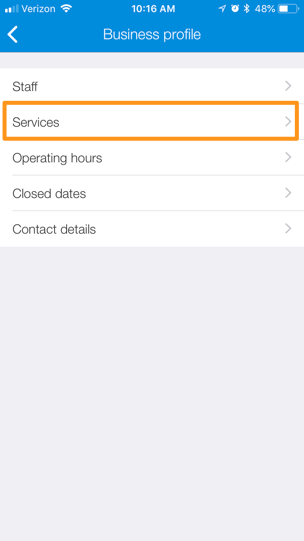 Look over your service's settings and details, and tap "Done" at the top right to create your new service. 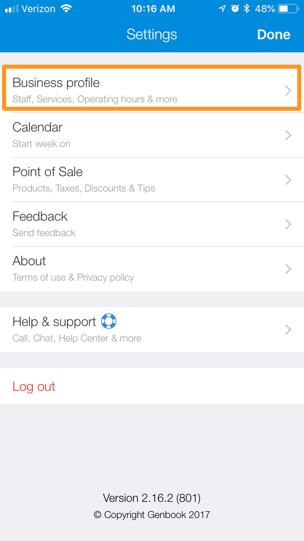 The service should now be listed at the bottom of the category in which you created it. Once you've created a service, you can also set specific availability for it, as well as require a full payment or deposit at the time of booking.